In our quest to better ourselves, we often begin by examining what we’re doing wrong. And that not only doesn’t work, the anxiety can stop us from getting to sleep, let alone better sleep. Instead, it’s more powerful to amplify what you’re already doing right – examine our strengths and nurture them with kindness. This approach is one of the reasons new year’s resolutions aren’t that popular this year. Why? When you accept that you’re okay – that you’ve already got things right and just need to turn up the dial on that “rightness” – habits become so much easier to adopt. 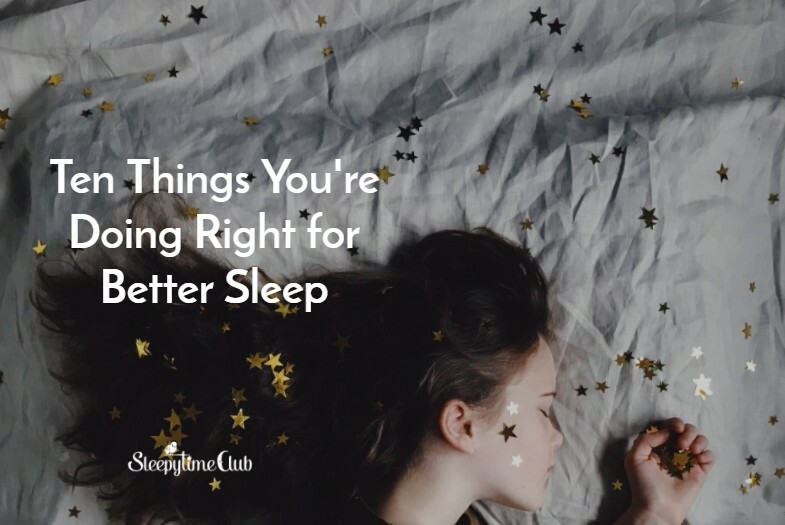 Check out this list of Ten Things You’re Doing Right for Better Sleep and see. Knowing the recommended hours of sleep is the key to getting enough. 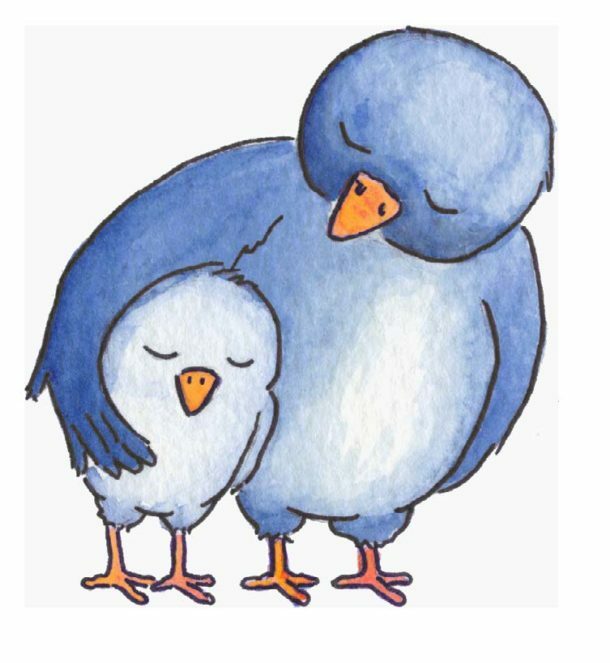 For parents and caregivers, knowing how many hours children need for sleep is critical to their health, as this blog post outlines. And since you’re already sleeping you can just add a an hour or two to what you’re already doing right. The National Sleep Foundation has guidelines for recommended sleep times here. Easy to do for most of us. We have jobs and schedules that require us to wake up at the same time every day. Your circadian rhythm – body clock – relies on the same routines of waking, sleeping, eating, and movement. Sticking to a regular wake-up schedule has many additional benefits, positively affecting emotional stability, attention, and productivity. You’re already doing this so it’s an easy step to do it right. Your sleep will thank you. At the moment, maybe you’re morning routine is to hit the snooze button and fall back asleep or check your cell phone for messages before your feet hit the floor. You know this isn’t the best way to start your day. Make it more difficult to practice the habits that don’t support a balanced life but leaving your phone outside the bedroom or keeping your alarm across the room. One result of having a consistent morning ritual will be you won’t need an alarm to wake you up after you’ve practiced this for a few weeks. Make a list of what you really love to do in the morning and build a morning habit by choosing three favorite things from that list. Do you yearn for more recreational reading? Some self massage on a foam roller? Or just a perfectly brewed cup of coffee? Another circadian rhythm re-set. If breakfast’s your thing, you can add a great breakfast as part of a do-it-right morning routine. Where most people fall off the wagon is lunch and dinner. Be flexible, but know your hunger signals and remember that food is fuel: we can pace out our meals to support our energy throughout the day – get it right and make meals a pleasure at the same time. Another thing you’re probably doing right and might not have known the relationship between sunlight and sleep. Maybe you only get 5 minutes as you walk between the bus stop and work. You’ve already got the sunlight habit in your day . The next step is to extend it. Some tips on how to get that vitamin sunlight in are in this blog post. There is no getting around this one for better health and sleep. Movement is absolutely essential. If you’re not into the taking classes or going to the gym thing, there are many options to work movement into your day. Follow movement specialists Katy Bowman and Petra Fisher for ways to incorporate more movement into your day. Katy’s #stackyourlife principle is a game-changer. You may not already be doing this right for better sleep, but this habit is critical to our well being and long-term health. It’s so important I could devote a series of blog posts on this. Start right now for better sleep: get the TV out of the bedroom and set up a docking station for tablets and phones. In Art and Soul Reloaded, Pam Grout recommends just time track your social media time – that is evening screen time – for a week and observe. On week two, cut it in half. This is another good place to sit down, make a list of your favorite screen-free activities – reading, writing, tidying up, crafts – and choose your favorites. The ones that really make you feel good. Replace meandering screen time with something you love to do. Another pleasurable thing to “right” and get more sleep. Besides brushing your teeth, what can you add to make bedtime something you personally truly anticipate? Warm bath, essential oils, gratitude journal, meditation or prayer? Maybe it’s turning down the covers and fluffing the pillow before reading and lights out? This Huffington Post piece has some ideas on how to “plus” your bedtime routine. You probably already have pajamas or something special for sleeping. Make sure that’s what you wear to bed. If you don’t, maybe treat yourself to some. Wearing what you wore during the day or what you plan on wearing first thing in the morning to do a workout or walk the dog doesn’t save time – it just sends the message to your brain that sleep isn’t important on its own. So there you have it – the ten things you’re already doing right for better sleep. Maybe you didn’t hit all ten, but you probably have five out of ten in your wheelhouse. The “Done for You!” bedtime chart makes it easy to know when it’s bedtime and lights out based on wake up times. It’s free, for ages 5 and up, and you can get it here. Put it on your fridge and never think twice about getting the kids – or yourself – to bed.